You are here: Home / eBook revolution / Kobo Store Changes: Update! 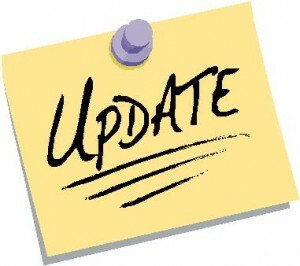 Here’s a brief update for those of you interested in Kobo (and who wouldn’t be?). I heard back from an individual within author relations about the current changes going on at the Kobo Book Store. It turns out the version of the book store I have been seeing is a beta roll-out that only 25% of users are currently seeing. I logged out and refreshed and sure enough, the older (and better) version reappeared! I was reassured that the changes were in progress and that the final product will be much better than the old interface. So far I have noticed that some of the curated lists are beginning to return in the form of visual book-cover-sliders. Plus, I’ve seen a slider for “Hidden Gems,” which appears to be a new curated list (and something tantalizing for writers such as myself, even though all the hidden gems on the list currently appear to be with major publishers). Reading between the lines of the email communication with said Kobo representative, I came away with my suspicions confirmed that the reviews and star ratings have been nixed due to Amazon’s buyout of Goodreads. I suppose all the realists saw that one coming. I’m hoping this does NOT mean my nearly-300 star ratings for Fistful of Reefer will disappear, but I’m assuming they will since some of them were from Goodreads. So the big question remaining in my mind is, what will the new store do to market free books? Will they encourage more writers to upload them by making them easier for readers to find? Or will they begin to discourage free much like Amazon has begun to do in recent months? (Even after Amazon changed their affiliate rules to discourage spreading the word on free ebooks, they are still lightyears ahead of Kobo on free ebook visibility). Along with that, will Kobo’s Writing Life (self-publishing) platform improve its options for indies by allowing us to select the many categories they currently have blocked? (I sure would like to go back to a top #10 ranking in Men’s Adventure rather than a #368 in Westerns.) Or will their incessant need to be in control/curate everything be their downfall when it comes to courting the ever-expanding (and increasingly dominent) crowd of indie authors? Tune in next time to continue this mind-boggling adventure!